How to get rid of guilt that haunts us when we want to rest? Let us talk about this. You can find more interesting articles and tips on essayspark.com. After some time, you get to the point where you simply switch off from studying, memorizing all academic materials and worrying about final exams, for example, and spend some time on yourself but without that awful feeling of guilt. It just takes some time and practice to feel comfortable knowing that you are finally doing a good thing for your body and mind. You might think that the time you spend on rest might be a great opportunity to read a new article or a couple of chapters of a new book, perhaps cook something or take away old things. However, it is not. If you are tired, then you will not get a result from either of these actions. Moreover, you will get tired even more. Talking about our example, you can have a fabulous afternoon on the beach, and by the end of that day, you will feel so motivated, you will know again how great it is to spend some time on your own needs, for example, hobbies and activities that you enjoy, and simply have a reenergizing break. After such wonderful experience, you can easily work later that night and end up getting much more done as well, because your mood has completely changed, and you wake up the next day, feeling great, motivated and productive. It is a great example to illustrate why self-care and looking after yourself, as well as your mental well-being, is very important. If you keep preparing for tests and memorizing the material for many days without taking restorative breaks, you will burn out and get exhausted. In such a situation, you are likely to get sick, and nobody wants that. If you push yourself hard and do not let yourself spend some free time not worrying about exams, your preparation will not bring high academic results as well. For example, you are studying for your exams without taking a break, but as the result, you will not remember any information. It cannot work this way. If you keep working hard, something will be confused, and you will not produce the best work that you could possibly do. So, it is important to take some time for self-care not only for your health but equally for the academic results that you expect to get. We definitely recommend taking some time for yourself to reset and refresh. There are many different activities that you can try to do. Everybody enjoys different things, but make sure that you will not just get lazy laying on a couch doing nothing. It could be anything that brings you positive emotions: taking the afternoon off and going to the beach, going for a walk, or having a bubble bath (a kind of stereotypical thing). It can be as simple as taking five minutes just to play a game on your phone. This 5-minute break refreshes you quickly, and then, you can get back to studying and preparing for your test with fresh mind. You can drink a cup of tea or watch an episode of your favorite TV show, wake up a little earlier to get ready in the morning or, on the contrary, sleep a little bit longer. It is also a kind of reward: if you have worked really hard and you have spent time studying from 9 a.m. to midday, you should take a break, you do not need to study for 8 hours. It is impossible to be productive when your brain can no longer remember information. It is not that complicated, is it? In any case, you can always order such papers from professional writers. So, look after yourself, keep in mind to leave time for having fun while planning your study schedule, and remember that some time without thinking about final tests will make you even more productive and efficient – after a good break, you will get even more things done. 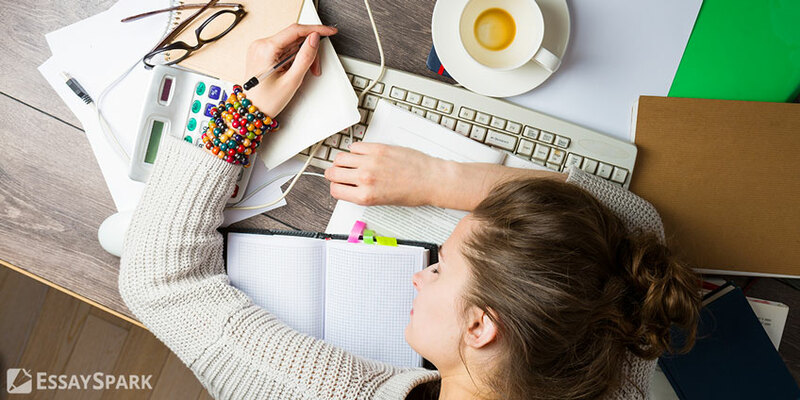 We understand that when you are young, it is so easy to spend all night studying and not to sleep for two days, but it will seriously harm your health in the future: keep that in mind. Your health and mental well-being are much more significant than your academic results or money that you earn on your student job. Good luck!